No harsh exercises or extreme diets required. The Javanti Slimming Solution promises to help you lose centimetres of fat within an hour! The active ingredient in our product is Pomegranate, blended with natural ingredients. Pomegranate is used for it’s medical properties. Pomegranate stimulate circulation and enhances blood flow. As a cardiovascular stimulant, pomegranate assists in breaking down cholesterol build up in the veins. Javanti Slimming Solution contains specific ingredients that help in specific areas of weight loss. 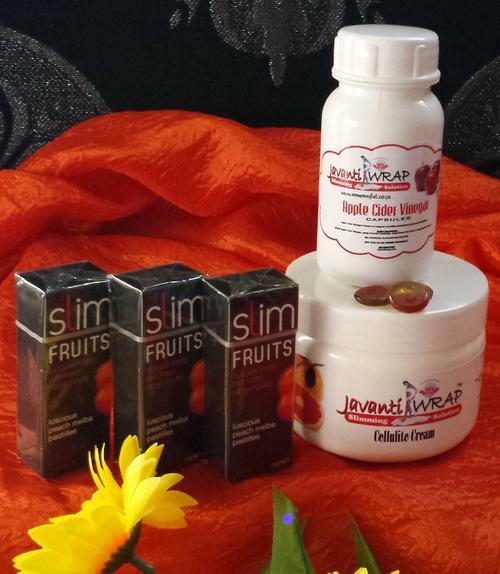 Javanti’s formula was designed to be a complete and balanced slimming wrap. It is also proven that Pomegranate has been used as a digestive aid to ease the protective mucus membranes of the stomach. Pomegranate also prevent blood clotting. This is so safe that even diabetes & high blood pressure clients can use it with utmost confidence. Ginger in our product is commonly known for it’s effectiveness as a digestive aid, also stimulate blood circulation, removing toxins from our bodies while cleansing the bowels and the kidneys. This enhances and promotes better organ functioning. Cinnamon in our product is well-known for loosing “belly-fat”. Cinnamon also reduce blood sugar level and increase the natural production of insulin. In addition, addressing elevated blood sugar levels and help to combat insulin resistance. Your answer to boost your self esteem! Your answer to a tighter, slimmer, sexier you!